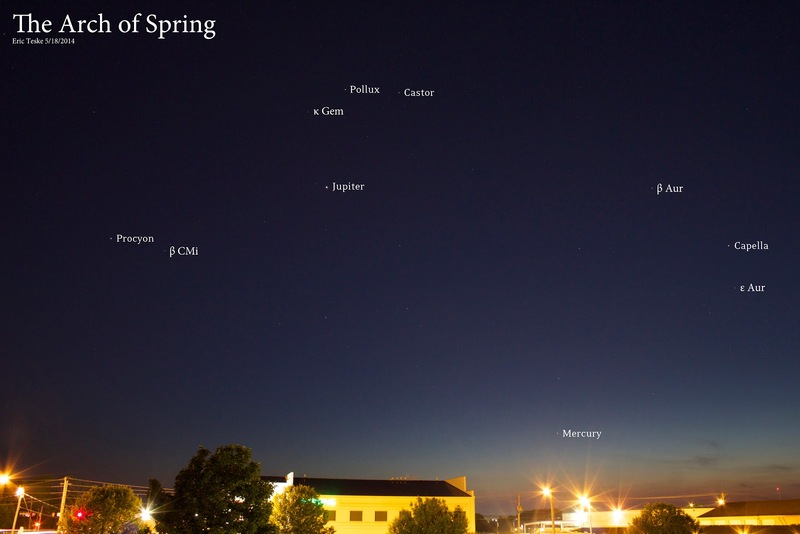 I read about the Arch of Spring, or the Spring Arc, in this week's sky at a glance from Sky & Telescope - but I couldn't find a photo or other description anywhere online. The blurb says that "the western twilight Arch of Spring is sinking..." and names Castor and Pollux as the top of the arch, with Procyon to the left and Menkalinen (β Aur) and Capella to the right. Since I couldn't find a photo anywhere online I made my own tonight! Basically, the Arch of Spring is simply half the Winter Hexagon. 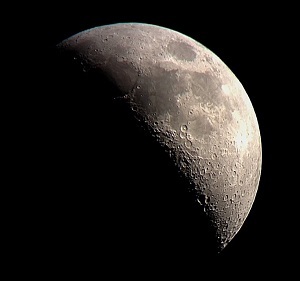 Not all that surprising, but a noteworthy landmark in the western sky this time of year. 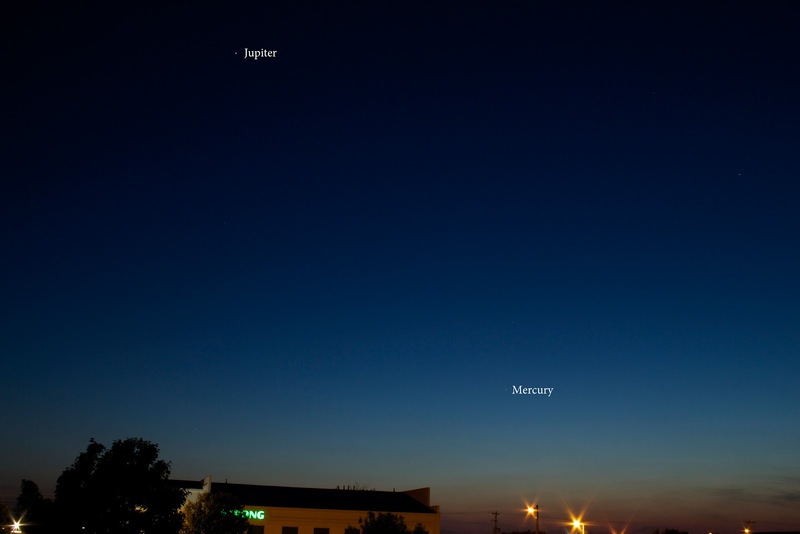 I also caught sight of Mercury before it dipped below the western horizon. We've had so much rain lately, I wasn't even aware that it was setting in the west until now, and I believe it's already on it's steady crawl back toward the sun.